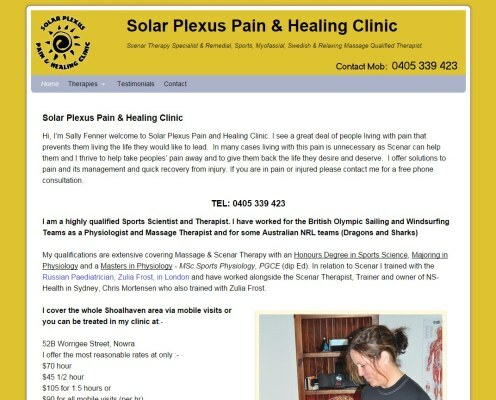 Sally’s website is aimed at complementing her Scenar Therapy, the moving of business locations and providing a platform to showcase her qualifications & success to prospective clients. Having already developed some colour brochures and business cards the website follows that theme. It is not designed to have major content CMS, however we have had tutorials and Sally is confident WordPress does allow her the freedom to edit and update content.